Railway is working towards providing free Wi-Fi facility at as many railway stations as possible. It may be noted that so far, over 700 railway stations have free WiFi facility and railways is planning to provide this facility at 2,000 stations soon. this month said that the free WiFi service has been a huge help to the passengers which is why more stations should provide it soon. He even said that the Division railway managers will be awarded for completing the WiFi installation work early. Earlier this month Kalka-Shimla section got this facility. Earlier this month, Dharampur Himachal, Gumman, Koti, Kumarhatti Dagshai, Sonwara, Taksal, Kandaghat, Salogra, Knoh, Kathleghat, Shoghi, Tara Devi, Jutogh and Summerhill were turned into free Wi-Fi zones. 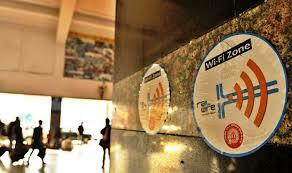 From today (January 28) passengers will enjoy free WiFi facility at six more stations. High-speed free WiFi services have been provided at Bidar, Khanapur, Kamalnagar, Halbarga, Bhalki, Kalgupur stations on Secunderabad Division. Worth mentioning here is that in order to use this free Wi-Fi service at railway stations, users just have to turn on the Wi-Fi in the smartphones and select the RailWire Wi-Fi network. They will be connected to the network instantly. Apart from free WiFi, railways is also working on the overall modernisation of trains and railway stations. IRCTC has introduced on-the-spot bill generation for payment of food items on trains with Point of Sale (POS) machines. Over 2,000 Point of Sale (POS) hand-held devices have been introduced in Mail and Express trains so that passengers can pay their food bills on the spot through credit or debit cards on-board. With this facility, passengers won't be overcharged for food in trains.